Florence Wyle. Image credit: Royal Canadian Academy of Arts / Library and Archives Canada / PA-103160. American artist Florence Wyle (1881 – 1968) studied art at the Art Institute of Chicago, there she met her wife/lifelong companion Frances Loring (1887 – 1968). They were both sculptors and in 1913 they moved to Canada, where they lived for the rest of their lives. 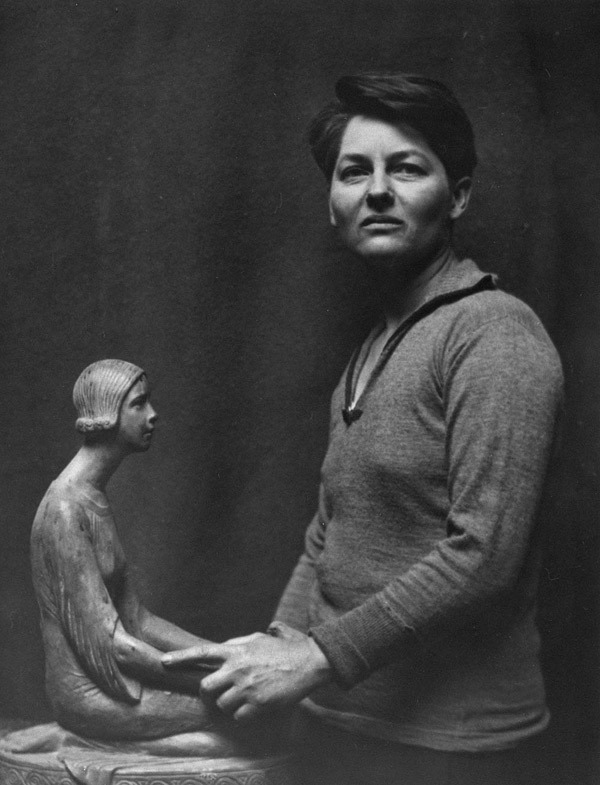 Florence was the first woman sculptor to be accorded full membership in the Royal Canadian Academy of Art in 1938 and 1962, the London Public Library and Art Museum organized “Fifty Years of Sculpture,” a traveling retrospective exhibition showcasing Loring and Wyle.